This Bonnie Hunter Design was started almost two years ago in a workshop here in San Diego. It is nice to have this one complete and off my UFO list. 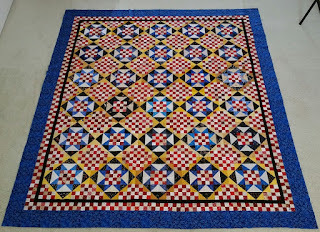 There are two more Bonnie quilts left to finish for this year. No adds this week, but that may change as the San Diego Quilt Show is here starting on Aug 31. So here we have the up to date usage. Only 4 more months to go to make a bigger dent. Net Fabric Used YTD: 128.5 yards. Go to Patchwork Times to see more great reports. Have a great week and enjoy the last few days of August. 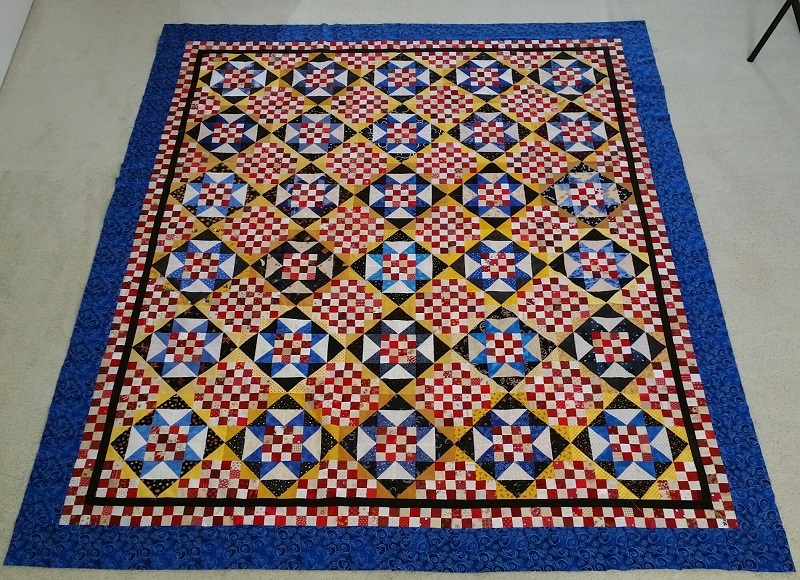 Your quilt is so beautiful! I saw Bonnie's in person in July and it is definitely on "the list".